A family of heroes, all in dangerous jobs, all irrevocably tied to those they love. 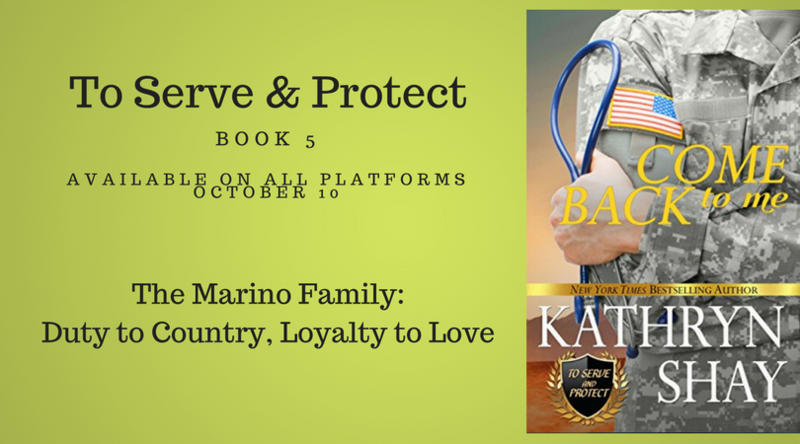 Read about the Marino clan in this fast-paced, emotional new series, To Serve and Protect, by NYT bestselling author Kathryn Shay. Declan Marino was a lucky to get everything he wanted in life: marriage to his high school sweetheart, Delilah Carrier, and work as an army medic. But his world crashes in when his wife leaves him because she did not get what she wanted. Now, he’s raising his children alone, as he works in the ER and is periodically called up from missions in the Army Medical Reserve. Lila has snagged a promotion in the Pentagon. Life is hard and messy for all of them, especially their three girls. Follow Declan and Lila as they find their way back to each other and create a brand new life from the ashes of the old one. 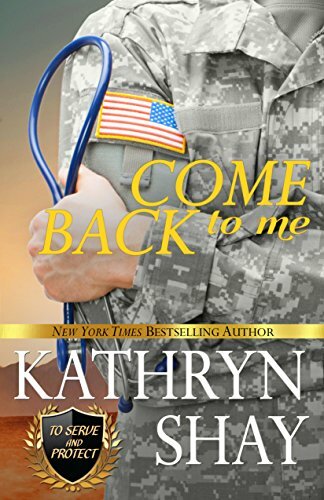 COME BACK TO ME examines the difficulty of balancing two military parents and maintaining happy family life. The book also asks the question: can long-standing love triumph over the roadblocks of modern life? With a combination of excitement and dread, Declan looked around the empty house in Maryland that he’d rented for himself and the girls for a year.